Roald Amundsen was the most successful polar explorer of his era using sledges, dogs, skis, and ships. He is mainly remembered for being the first man to reach the South Pole on December 14, 1911. What is less often remembered is that he was also the first man to reach the North Pole on May 12, 1926 as the leader of the Amundsen-Ellsworth-Nobile expedition in the airship Norge. His involvement in aviation from his experiments with man-lifting kites in 1909 to his death in 1928 while flying from Norway to Spitsbergen has not been the subject of a detailed study until now. 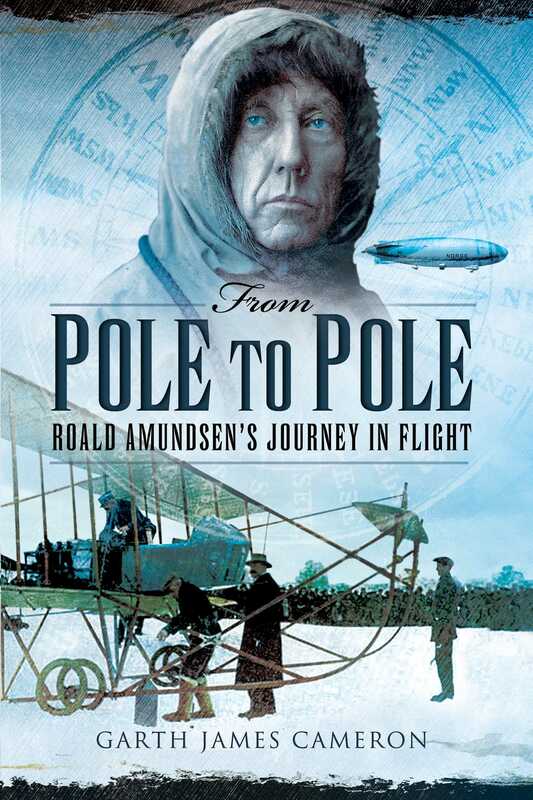 From Pole to Pole explores Amundsen’s enthusiasm for flight from the moment he read about Bleriot’s flight across the English Channel in an airplane. In June 1928 Amundsen and five companions took off in a search and rescue flight for the missing airship Italia and were never seen again. The only traces of the men and their aircraft were a tip float and an empty fuel tank which washed up on the coast of Northern Norway several months later. Searches of the seabed near Bear Island for the remains of the Latham 47 flying boat he was flying in took place in 2004 and 2009 and interest in the mystery of his disappearance remains high.